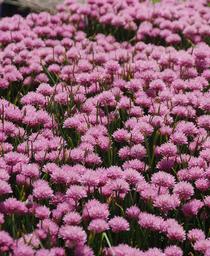 'In Orbit' Ornamental Onion blooms from June to September, producing large 3" globular flowers of lavender purple. 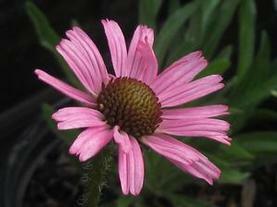 The "Drumstick" blooms are 16" tall over green, deer repellent foliage. 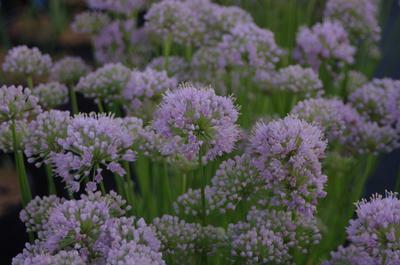 'In Orbit' Allium is a very attractive cut flower, and the spent flower heads make a lovely addition to dried flower arrangements. 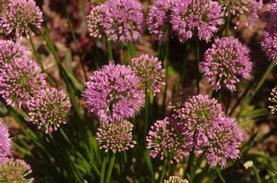 Pollinators flock to all Alliums when they are in bloom.